Can I ship my order anywhere in the world? I found an error on your site; what do I do? How can I be a spotlight customer? Is the pipe I see the one I'm receiving? Are all your pipes new? How do you measure your pipes? What do all the different shape names mean? What's the difference between a handmade and a factory pipe? How do I know where my pipe was made? How can I stay updated about new pipes? What does convertible mean in the description? What accessories do I need for my new pipe? How do I choose a tobacco pipe? What do I do when I can't keep my pipe lit? How should I care for my pipes? How often can I smoke the same pipe? What should I do if my pipe needs to be repaired? Most days we feel like we’re everywhere. On any given work day, we’ll be in 30 or 40 different countries, virtually that is. 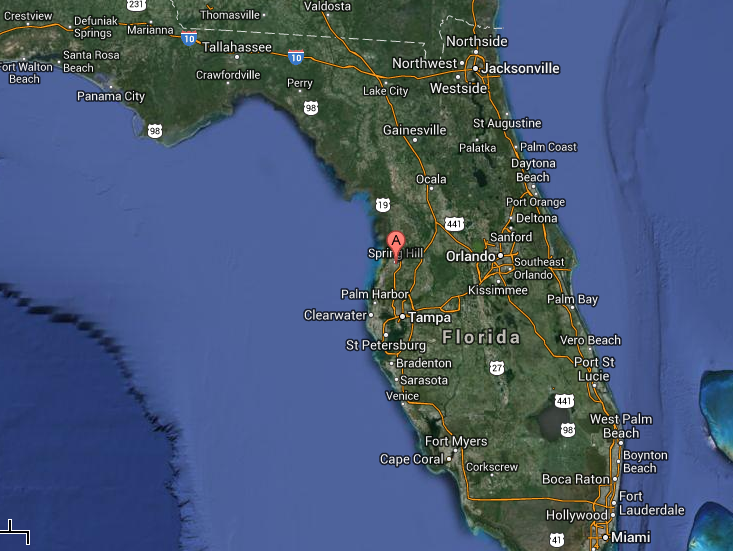 Our staff and products do have a permanent home in a small retail location in Spring Hill, Florida. We know you’ve never heard of it, that’s okay. We’re 45 minutes north of Tampa and just a few steps and a bikini from the Gulf of Mexico (we know you’re jealous). We still don’t really know how it happened, something about a dart and a wall? Seriously! When we opened our first store, TobaccoPipeStore.com, we didn’t know a thing about pipes or the hobby of smoking one. Today, it’s a whole other world. We fell head-over-bowl for the art, practice and community of pipe smoking. We’re pretty simple folks and we like how smoking a pipe becomes a ritual of slowing down, appreciating the moment and learning a craft. We started TobaccoPipes.com on a wing and a prayer. Today, four years later, we’ve become one of the top online pipe retailers because we’re passionately committed to helping pipe enthusiasts enjoy what has become a favorite pastime for most of our staff (Read more About Us). Yes we do! Gift certificates can be purchased online for any amount between $1-1,000.00. All you need is the recipient’s email address. Purchase your gift certificate here. Click Create An Account in the upper right hand corner of the screen or just wait until checkout, you will be prompted to do so. We accept returns on all new, unopened items within 30 days of delivery for a full refund. If the return is for an error we made, we’re happy to cover the shipping as well. Read our full Returns Policy here. All standard shipping orders over $75 within the continental U.S. ship free. To find out specifically about shipping to other countries, check the shipping tab after placing an order in your cart (Read more about our Shipping Policy). We ship all of our tobacco pipes and accessories from our home base here in Florida within 24 hours of ordering (Mon-Fri). If you’re purchasing from the continental United States, that means you’ll generally receive your standard shipping order within a week, sooner if your closer to us. Please refer to the Shipping Policy for more information. Can I have an order shipped anywhere in the world? Mostly, and we have. There are exceptions for pipe lighters that you can read about here. When you shop with TobaccoPipes.com we do not charge you sales tax, with one notable exception: orders bought/shipped to destinations in Florida will be subject to Florida State sales tax, according to state law. However, TobaccoPipes.com is not responsible for individual states' sales tax and/or tobacco tax reporting laws pertaining to online purchases, so we encourage you to check your state's regulations before you shop. We are required to submit online tobacco sales to the State of Florida which may include name, address and tobacco purchased. We do our best to guarantee lower prices than any other online US based dealer, and we do everything in our power to ensure that you're not paying too much for your purchase. That's why we offer our 100% Low Price Guarantee. However, this does NOT include tobacco. If you find a lower advertised price from an US based dealer (including shipping, handling and taxes if applicable) on the same item, simply let us know and we'll gladly try to meet that price! The advertised price is from an authorized U.S. retailer. The price is a published price and/or you have a written quotation from a competitor. Verbal price quotes are not acceptable. Pricing on certain manufacturer’s products is already set so low that we cannot offer to price match competitors. Though we will do our best, we reserve the right to not match a price. To place your order or inquire regarding a price Low Price Guarantee, please contact us toll free at 877-527-0007 or email us at Sales@TobaccoPipes.com. Before contacting us, please make sure you have the complete URL (address) of the competitor's web site, along with your name, phone number, and the details of the price difference so that we can help you as quickly as possible. The Low Price Guarantee cannot be used in conjunction with any other coupon or project pricing offer, nor does it apply to limited-quantity offers, manufacturer's rebates, closeouts, clearances, special, sale, or limited-time discounts, bulk quantity items, or typographical errors. Offer does not include wholesale or "trade," contract or manufacturer direct pricing, or below wholesale cost pricing. Sorry, no dealers please. Offer does not apply to all store items. *"Same" is defined as an item of the same styling and product by the same manufacturer. Products must be first quality, all new, factory-sealed, of the same brand, style, and SKU. *TobaccoPipes.com reserves the right to determine which offers are from authorized retailers. In the event that TobaccoPipes.com determines that the competitor's offer does not qualify for the Low Price Guarantee we will notify you and will not be able to fulfill the order. I found an error on your site, what do I do? We work extremely hard to make sure our site is error free. However, we know we’re not perfect (and often a bit sleep deprived) and occasional mistakes do happen. If you catch one, please let us know via the Contact Us Page. Please include the URL where you found the error and thank you for keeping us on our toes! We spotlight one customer each month and would love to add you to our waiting list! If you have photos of yourself smoking your favorite pipe, simply fill out the Contact Us Form and let us know what the best time to call you to set up the interview would be. Is the pipe I’m seeing the pipe I’m receiving? Sometimes. The tobacco pipes with a white banner indicating Actual Pipe are the pipe you will be receiving. All other pipes may vary from the picture shown. However, if you find a pipe you like on the site and want to see a photo of the pipe you’ll be receiving before ordering. Please call or email us and we’ll have our in-house photographer send you photos. Yes. We do not currently buy or sell estate pipes. Length of the pipe: We measure the length from the end of the pipe’s stem to the farthest point of the bowl. What that gives you, is a measurement of how far the bowl’s end will be from your mouth. Due to curvature in stems and the bend, the measurement is not the actual specific length of the pipe. Height of the pipe: This refers to the height of the bowl from base to top of rim. Weight: Refers to the weight of the pipe, rounded to .1 ounce increments, in total. Width at Transition: The width of the shank at the transition. Bowl Depth: Refers to the depth of the bowl, from the inside rim to the bottom of the bowl. Bowl Outside Diameter: Refers to the external diameter of the bowl at its widest point. Bowl Inside Diameter: Refers to the internal diameter of the bowl at the rim. The shape name refers to the general bend and curve of the pipe, based on classic pipe shapes. Of course, this is often interpreted in the loosest of ways, so take a close look at the measurements for a pipe before purchasing. What’s the difference between a handmade and a factory pipe? We stock both handmade and factory pipes at TobaccoPipes.com. We believe both types of smoking pipes have a place in the smoking world. There are differences and, new smokers in particular, should weigh them carefully before spending a large amount on a pipe. Handmade or Artisanal tobacco pipes are more expensive than factory pipes and tend to be of a higher and more artistic quality. Handmade pipes are often free-form shapes and made from the highest quality briar. On the other hand, factory pipes are more affordable and consistent in their shape and quality. Most smoking pipe collectors have a few of both kinds in their collection. we generally recommend that new smokers begin with a high-quality factory pipe and branch out from there. Read more about handmade versus factory pipes. How do I know where my tobacco pipe was made? At TobaccoPipes.com we take great pride in tracking down the history of each brand of pipes we carry. You can read about the history and current origins of any pipe you are selecting in our Tobacco Pipes History section. There are a number of ways you can find up-to-the-minute information on new tobacco pipes and accessories on our site. Subscribe to our newsletter to receive special offers and updates on limited edition pipes. Subscribe to our blog to receive pipe news, information and spotlights via email or RSS reader. Follow us on Facebook for all kinds of pipe smoking mayhem. What does convertable mean in the pipe description? When a tobacco pipe description states that it is convertible it means that the pipe can be smoked with or without a filter (Read more on the difference between filtered and unfiltered pipes). A 3 in 1 Pipe Tool, this small tool is used for tamping the tobacco and cleaning your pipe after you smoke. Pipe Cleaners, to clean the inside of the stem after you smoke a bowl. Fire, either from matches or a pipe lighter. Do not use a cigarette lighter to light your pipe tobacco, it is typically too hot. What shape appeals to you? This refers to both the feel and look of the shape. Filtered or unfiltered? Unfiltered pipes are more popular in the U.S. and tend to give a stronger and more pure smoke. Filtered tobacco pipes are often a good choice for new smokers because they provide a cooler and dryer smoking experience as you are learning. What type of finish appeals to you? The two primary pipe finishes are smooth and rusticated, but thousands of variations exist for each. Take a look at a few pipes and see which finish appeals to you. What is your budget? Smoking pipes range in price from a few dollars to hundreds. Think about what you want to spend on your new hobby. If you’re a new smoker, we recommend starting with a pipe in the $80-$100 range, generally these will give you a good smoking experience without busting the bank. Read more about choosing your first pipe. What do I do when I can’t keep my pipe lit? We say just keep relighting it! Especially the first few months of smoking a pipe are usually filled with constant relighting. Don’t feel bad about it. To perfect your technique for how to light a tobacco pipe, follow our guide. Cleaning your pipe is the primary maintenance you’ll need to do on your pipe. Read more on how to clean a tobacco pipe here. There are plenty of varying opinions on how often a pipe should be in your rotation. In general, a well made pipe can be smoked if it is cool to the touch and doesn’t have a sour smell. However, one bowl every 24 hours is a good rule of thumb (learn more about pipe rotation). Contact us and we’ll help point you in the right direction. Different manufactures all have different policies and recommendations for repairs. We’ll help you navigate it.